Four Canadian stops on Paul McCartney's world tour . Beatles Radio: The Beatles, Solos, Covers, Birthdays, News The Fab 4 and More! Paul McCartney has revealed he will kick off his upcoming world tour with four straight shows in Canada. 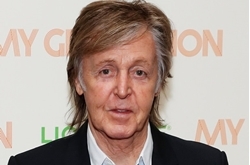 The former Beatle will play Quebec and Western Canada in September as part of his "Freshen Up" tour. Beginning in Quebec City on September 17, McCartney will play Montreal on September 20 before heading west to play Winnipeg on September 28 and then wrap up the Canadian tour in Edmonton on September 30. The Freshen Up Tour comes in support of McCartney’s new solo album Egypt Station which is due on September 7. “We’ve always had such a fantastic time playing shows in Canada,” said McCartney.